Former 'View' Co-Hosts: Where Are They Now? 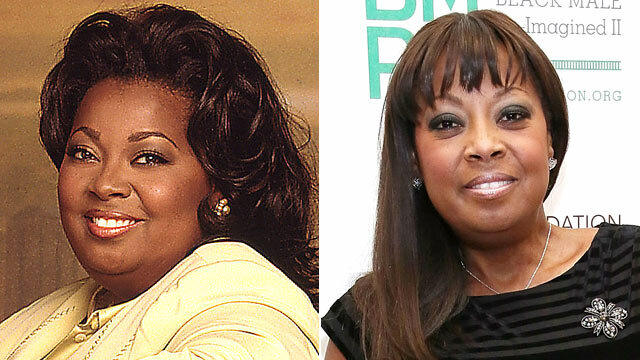 Star Jones is shown while on "The View," left, and in March 2013.
intro: It's been a long time since one of the co-hosts has left "The View," but Joy Behar, one of the show's original members, will be the latest. Behar is leaving at the end of this season after 16 1/2 years. "You can't stay forever on a show," the comedian told "Good Morning America" last week. "I am graciously exiting stage left. "I've put in 16 1/2 years and felt the time was right. I want to explore other opportunities," Behar said. On Monday's show, Barbara Walters, the co-owner of "The View" along with ABC, addressed the rumors that co-host Elisabeth Hasselbeck was also leaving. "There are no plans for Elisabeth to leave this show," Walters said about the 35-year-old co-host, who has been on the show since 2003. Addressing rumors that Hasselbeck's fellow co-hosts had forced her out because of her conservative views, Walters said, "The truth is we like her ... and beyond that, we value and appreciate her point of view." Walters, who recently returned to the show after a six-week absence to recover from chicken pox and a concussion, cleared up any rumors that shewas leaving. "Right now the only person who cannot leave this show is me," she said. Click through to see a list of the other "View" co-hosts who left the show, then and now. quicklist: 1 title: Debbie Matenopoulos text: A chance meeting with Barbara Walters in 1997 led to former MTV intern Debbie Matenopoulos earning a seat on "The View." She was quickly parodied on "Saturday Night Live" as being ditzy. After her abrupt exit in 1999, she landed with TV Guide Channel before earning a spot co-hosting the syndicated show "Good Day Live." Soon after joining the show, she broke her jaw while leaping off the roof of a building during a segment about firefighters. quicklist: 2 title: Lisa Ling text: Lisa Ling, one of Channel One News' youngest reporters and anchors, replaced Matenopoulos in August 1999, beating out 12,000 hopefuls who had auditioned. Ling brought a more serious tone to segments like investing for women and drew praise and criticism for her comment about the terror attacks of Sept. 11, 2011, when she said, "Maybe before we seek revenge, we should ask the question: 'Why should anyone want to make such an attack on the U.S.?'" Leaving "The View" after nearly four years to return to international reporting, Ling moved to the National Geographic Channel and became a special correspondent for "The Oprah Winfrey Show." quicklist: title: Meredith Vieira text: One of the original co-hosts, Vieira, who came from "60 Minutes" and ABC's "Turning Point," served as the show's first moderator. She left "The View" in 2006 to succeed Katie Couric as co-anchor of the "Today" show, while continuing to host the syndicated game show "Who Wants to Be a Millionaire." quicklist: title: Star Jones text: Star Jones, also one of the original members of the show, departed soon after Vieira. A former attorney, she worked for Court TV and "Inside Edition" as a legal analyst and even presided over her own court show, "Jones & Jury," before joining "The View." In June 2006, after nine seasons, she announced that she was leaving the show -- and that the decision was not her own. "What you don't know is that my contract was not renewed for the 10th season," she said. "I feel like I was fired." The next day Barbara Walters admitted that she felt "blindsided" by Jones's announcement and said, effective immediately, Jones would no longer appear on "The View." The feud escalated when Walters revealed that Jones had asked her fellow co-hosts not to discuss her gastric bypass surgery. By February 2012, Jones had made amends with her former co-hosts when she returned to "The View" for the first time. Walters told her, "We really are happy that you're back." quicklist: title: Rosie O'Donnell text: Another co-host who left after stirring controversy, Rosie O'Donnell took over for Vieira in September 2006 but quickly jousted with Jones and Hasselbeck. She's credited with taking on more political issues and, though she drew criticism for her outspokenness, driving ratings. O'Donnell cut her contract short in May 2007 after a particularly heated discussion with Hasselbeck. "I didn't want to argue for a living," she told Oprah Winfrey.